Now that the dust has settled after the farmer update, it should be time to take stock of what exactly happened to our sites and how they were affected, what happened to their traffic and their search rankings. I think it may also be time to look at a new link building strategy because it looks like article marketing – at least the kind that is applied in content farms – has been shot down, probably never to return. 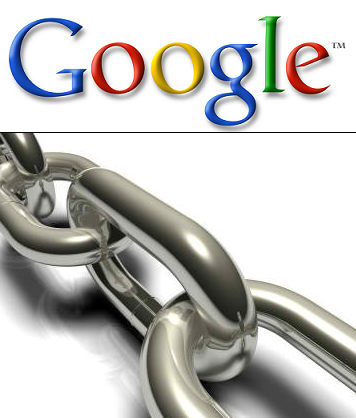 Has Google managed to shake up one of your most constant and reliable source of links? The first thing we learn as Internet marketers is this: you need links to your site and you can get links from the many thousands of article directories. The fact is that directories have been a staple of Internet marketing for so many years; and yet it seems now that the era of article directories has ended. But was it really such a bad thing? Articles directories used to have the ability to not only help build links but also drive some traffic to your site. Over the past couple of years, this ability has pretty much dried up. And let’s face it: the quality of the links from these directories were probably never great anyway. So I say, onward and upward! Google is forcing us to try and make a better decision when it comes to who our link partners are, and who we get links from. So the question is: where should our links be coming from? Social media cannot be avoided. It’s everywhere and that is why Google has to take notice. While most links coming from social media and Web 2.0 sites carry nofollow tags and probably won’t pass any juice, they can still pass authority. If you have been able to create a viral buzz about your site and subsequently receive a ton of social media links, Google soon has to account for these links, if they aren’t already doing it. This is something we all need to be aware of and accommodate for. The virtues of guest posting have already been well documented, but here they are again! Do it right and the links you will get are probably the closest you can get to natural links of love, which is what Google wants to see in every profile. I think relationship linking will become more and more important. Building relationships in your community and with other bloggers in your niche will not only help get links from these sites; they can also help bring targeted traffic to your site. Don’t confuse this with reciprocal linking, as they are completely different. Reciprocal linking is swapping links with other sites for no other reason just so you can get a link: relationship linking, meanwhile, is linking to other sites because doing so will help enrich your site, the content you create, and the experience of your visitors and readers. You should be linking to another site because it will help you offer your visitors a better answer to their questions, and not because the Webmasters of those other sites have promised you a link in return. There are so many other tactics out there that will help you build links: Pyramids, Wheels, and Tiered Links are just a few of the many methods being used. But remember that if article directories and content farms can get zapped, what chance do these tactics have? For that reason it’s a safer bet to put your efforts into cultivating relationships not only with other bloggers, but also with related communities. You will likely find that these relationships can be more rewarding, longer-lasting, and more beneficial than the links you receive. About the author: This is a guest post by Neil Jones from Accessories for Playbook a great site where you can find all the latest information, news and reviews on the Blackberry tablet, including all the latest Playbook cases.